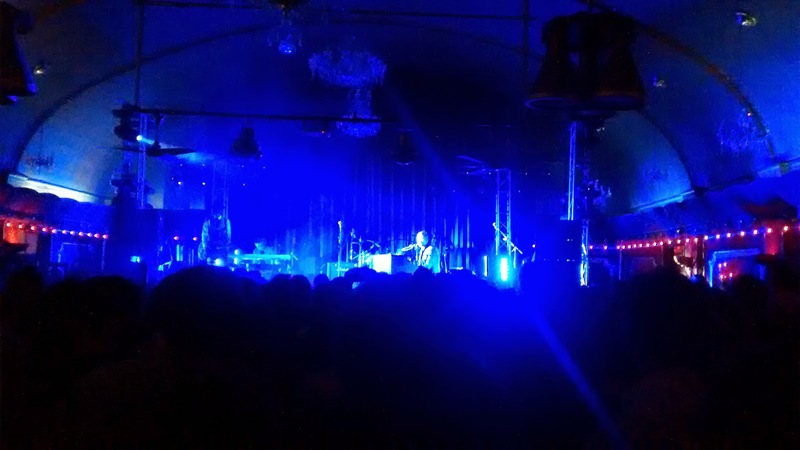 Capping a sequence of events clustered around my birthday was a Damon Albarn gig at the Rivoli Ballroom. With only five hundred tickets available, both Becks and I were in work early with our fingers hovered over the purchase button for when they went on sale. I was too slow, but lucky Becks was faster on the draw than me and managed to get us a pair of tickets. Although I was a Blur and Gorillaz fan back in the day, the gig was more of an opportunity to get inside the Rivoli Ballroom, London's only remaining 1950s ballroom, for the first time. I'd heard lots of reports about its opulent red velvet linings and sprung dance floor. The barrel shaped room didn't disappoint and I would have enjoyed getting their earlier to have had a proper look around when it was less crowded. I think it would be fair to say that it was an older crowed at the gig with Becks and I possibly being at the younger end of the age spectrum? Damon Albarn and his new band, the Heavy Seas, played a mix of songs from their new album, Blur tracks and a couple of covers and Gorillaz songs too. Without question my favourite part of the gig was the four song encore which included bringing a choir onto the stage for a couple of tracks, including the one above. I love the dancing and enthusiasm of guy in the choir with the glasses. Enjoy!